Paolo Bonolis has been the head of the Banking and Financial Law Department of the Legal and Tax Firm CMS Adonnino Ascoli Cavasola Scamoni since 2005. He leads a team of over 20 people. 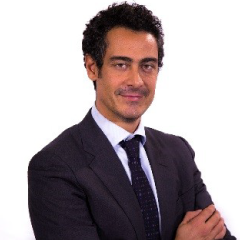 He is member of the Board of Directors of the Firm and he is the Italian representative in the Banking & Finance Steering Committee of CMS, a network of major legal and tax firms featuring more than 4.500 professionals. He regularly assists some of the top Italian and foreign banks and financial institutions on complex banking and financial transactions and regulatory matters. He also assists globally-active clients in insurance, investment and financial services and insolvency law related matters. His clients include Unicredit, Commerzbank, Intesa Sanpaolo, Société Générale Aareal Bank AG, Natixis, HSBC, Monte Paschi di Siena, Barclays Bank, Bank of America, RBS, Banca Fideuram, Wells Fargo, Lloyds Bank, Deutsche Bank, Banca Farmafactoring, ING, IBRC, Columna Holding, Global Solar Fund.